From flower-filled escapes to refreshing feasts, there are plenty of things to do in Sydney this spring. Explore all of Sydney’s most beautiful spots, try something new, and top it all off with a crisp cocktail at the end of the day. Yep, we’re pretty excited that spring is here. Here’s your hit list of things to do in Sydney while it’s not yet sweltering (but you’ve officially shelved your woolliest jumpers). Let loose those toes in style with these gorgeous spring sandals. Work up a sweat at the new Sky Climb rock climbing gym. Reward the above exercise by hitting up these schnits (especially on those weird days where winter is apparently not finished with you yet). Find something new to cook with and meander through our farmers markets to visit this spring. Make an excuse to spoil yourself on the rooftop pool overlooking Sydney Harbour, at The Spa, Park Hyatt Sydney. Work out your green thumb at your nearest community garden. Run around like a maniac in an inflatable bubble (AKA make all your childhood dreams come true) for Bubble Soccer at Ultimate Soccer. 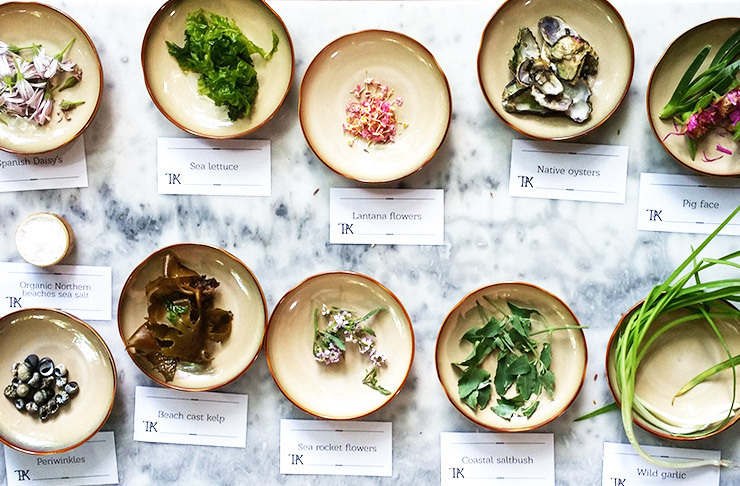 Book yourself in for a foraging lunch at The Powder Keg, and while you wait head down for their rose and cucumber gin and tonic (psst… cocktail happy hour is 6pm). Picnic it up at Sydney’s newest happening spot (with appropriately sparkly water scenery) at Barangaroo Reserve. Hop on the ferry for a long lunch (okay, this is really just an excuse for the crab tortellini) at Dunbar House, followed by a walk along the South Head Heritage trail. Throw axes at things at Maniax (I mean, why the hell not right?). Road trip it to Restaurant Botanica for a day at the Hunter Valley and meet the pigs in the kitchen garden (don’t mind if we stay the night). Gather some ‘grammable memories at these waterfalls near Sydney you can actually visit. Get on top of healthy eating by ordering some healthy home delivery from wholefoods cafe and yoga studio, Egg of the Universe. Get those legs ready for your prettiest of dresses by defuzzing the smarter way at Thaspa with IPL. Eat your way around Sydney’s Good Food Month during October. Discover some new ways to work off those extra burgers you’ve been eating, and have a blast doing it (don’t forget to bring a friend for free!) with KFit. Plan a romantic mini-escape to Spicer’s Sangoma and explore the Blue Mountains walks near by. Live through the lens of some rock legend good times at the Tony Mott Rock Photography exhibit. Chill out at scenic bowls at The Greens, with cocktail in hand. Top off your working day with sunshine and your drink of choice at these rooftop bars in the CBD. Hop on your bike to get a little spring breeze flutter, for Sydney Rides Festival (10th-31st October). Breathe in a little country air and pat a baby alpaca. Brew up some mischief as part of Sydney Craft Beer Week (17th-25th Oct). Discover edible weeds in your backyard (they’re particularly sweet and tender in spring!) with a foraging tour. Drink all the wine and stomp on some grapes while you’re at it, at Vino Paradiso (6th-8th Nov). Refresh your mind and soul down South at Nantien Buddhist temple (and don’t forget to stop in at the vegetarian cafe for the “pork” buns). Eat and dance your way around Latin America with Fiesta at Darling Harbour (2nd-11th Oct). Indulge in some style lust at the exhibition Collette Dinnigan unlaced, then head along to the jewellery exhibition to complete your style education. Ride around Centennial Park...on horseback (yes, it’s a thing). Go on a little weekend getaway to Bowral. If you’re feeling fancy, book yourself into dinner and accommodation at Biota. Get started on your summer glow with Tan Temple. New season, new skillz. Get some at Work-shop. Make a statement with these eight shades for sunny days (and also just because they look awesome). Finally figure out how to make your floral arrangements look as good as the pros with a Sydney Flower Market tour (and brekkie). Head to your nearest park or garden with a mindfulness colouring-in book (childhood memories + awesome patterns). Grab a friend to admire all that is awesome about living in this gorgeous city, with these coastal walks in Sydney. Don a fairy princess look (tis the season) and learn how to make flower crowns. Continue to look gorgeous while you picnic with these picnic essentials. Laze back and enjoy that warmer weather with these Sunday long lunches. Run off that long lunch with these six running routes you must try if you live in Sydney. Treat yourself to a new short haircut, sans the nervousness, at the best hairdressers in Sydney for short hair. Bring all the bees to the yard (the stingless ones) with these bee workshops and seminars. Aaand if you really want to bring the bees to the concrete jungle, you need to bring some greenery into the city too. Or if you’re more the beer garden type, head on down to the best in Sydney come Sunday. Why have dinner when you can also have an amazing view on the side? Look into these restaurants to dine with a view. Spring clean your wardrobe (and that other closet you took over to put all those things you meant to get rid of earlier) on Tushare (it’s free). Road trip out to Mount Annan for the Spring Paper Daisy Display (1st Sep – 31st Oct). Picnic not optional. It might not be warm enough for the water yet, but you can still make eyes at the beach (and babes) of Bondi at these best five brunch spots. Go dolphin watching at the always stunning Jervis Bay.